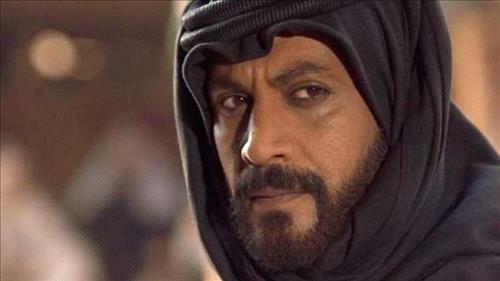 AMMONNEWS - Jordanian actor Yasser al-Masri died on Thursday night following a car accident. Al-Masri was taken to Jabal Zaitoon Hospital in al-Zarqaa neighborhood in northeastern Amman but died on arrival. Al Masri was born in Kuwait in 1970 and holds a Bachelor of Music from the Jordanian Academy of Music and was a member of the Jordanian Artists Syndicate. He is married to Jordanian journalist Nisreen al-Kurd and has three children. He began working as an actor in the play “Kalkit” until his talent shone forth in 2007 in “Nimr bin Udwan,” in which he played the lead role of knight and poet Nimr with mastery and brilliance. He acted in many Jordanian and Arab historicals and Bedouin dramas and took part in many local and Arab festivals through a series of theater performances. He played roles in other television series with historical or nomadic settings, like “Abu Ja'afar Almansour” and “Thy Qar.” His first role in an Egyptian series was in “Taht El Ard” (Underground) in 2013. He worked as a drama coach for the National Division of the Ministry of Culture, representing Jordan in most Arab and international festivals until the end of 2007. In 2009 he was awarded the State Encouragement Award jointly with Jordanian artist Munther Rihana. In August 2016, he was chosen by the Higher Organizing Committee of the Jordan Media Festival for its third session to present the opening ceremony.